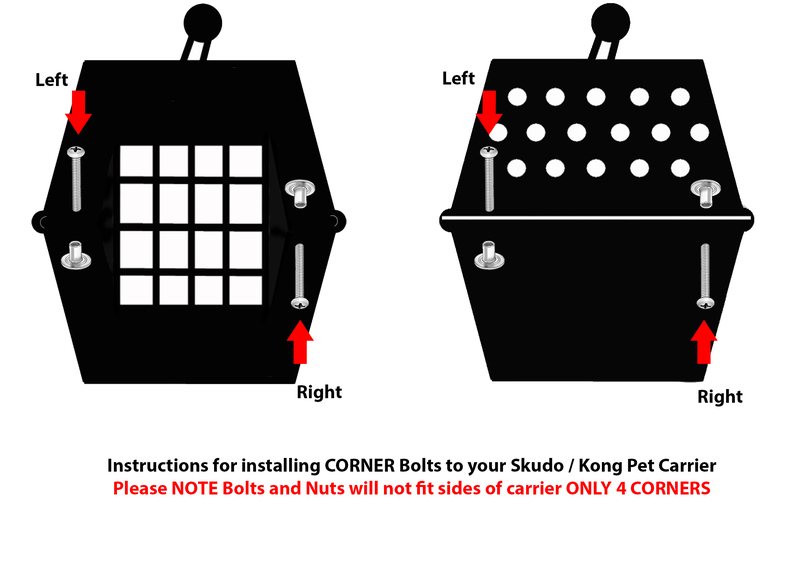 Solid metal Nuts Bolts for securing the CORNERS of SKUDO, KONG & Marchioro Pet Carriers. 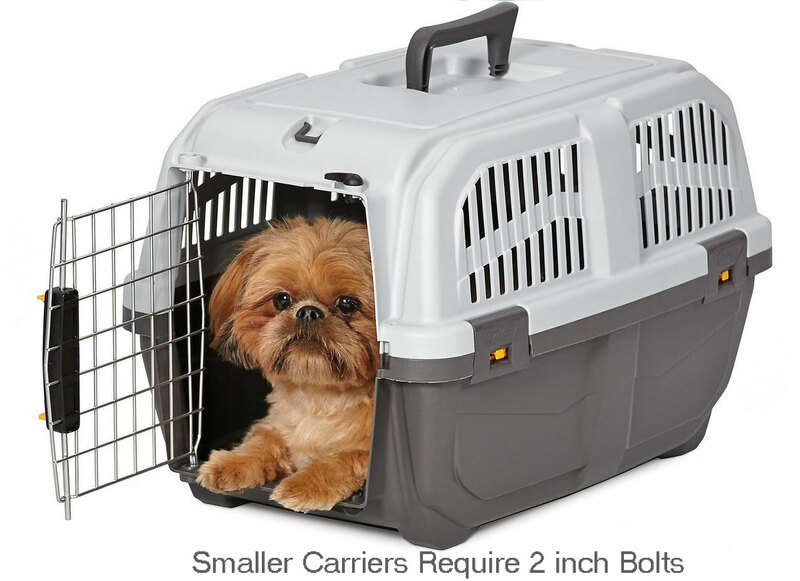 Install onto your pet carrier's corners to add to the security and integrity and help keep your pet safe while traveling. 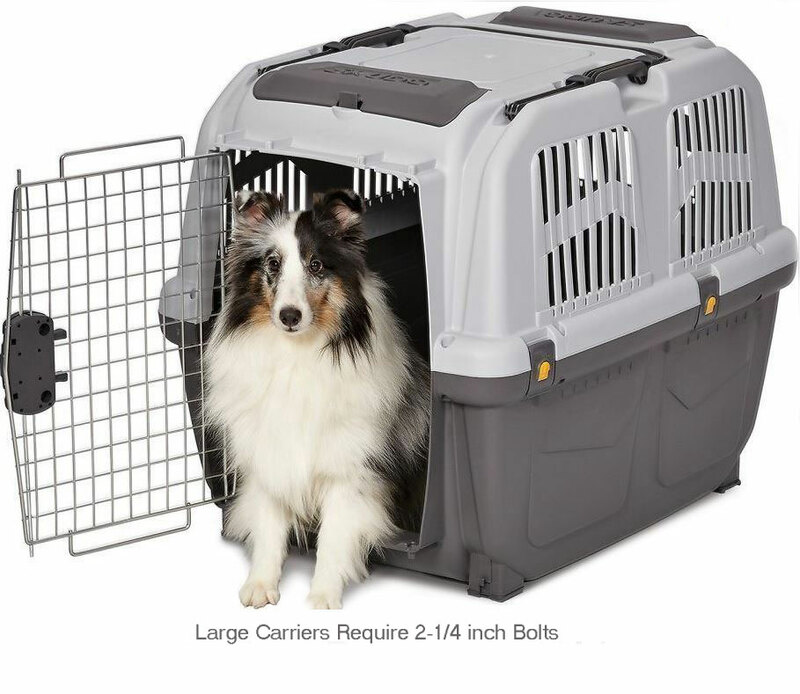 NOTE: nuts and bolts will NOT FIT SIDES of pet carrier will fit the 4 corner holes ONLY, side holes are half moon shaped and will only accommodate cable ties. 2 pk Dry Pads Super Absorbent Potty Pads Great for Travel Kennels 24"x35" to 33"x44"